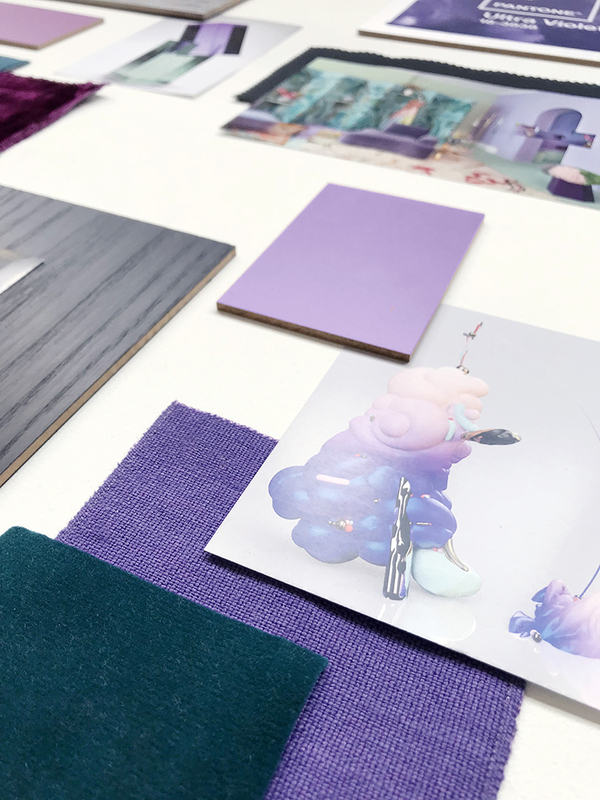 We have recently created a commissioned Ultra Violet mood board for Spanish wood manufacturer Finsa covering the Pantone Color of the Year 2018, Ultra Violet but before I explain the process, here goes a little extra story on the color violet you might be interested in knowing since we believe violet and purple are going to be much talked colors this year. For our Spanish readers, please hop over to Finsa‘s site. The color violet comes loaded with meaning and symbolism meeting opposite qualities that stem from the union of red and blue, the feminine and the masculine. This union of opposites has indeed a fascinating past. Since Phoenician times, violet has often been used as the color for royal (aristocracy) and ceremonial robes (theology). The priviledged dye derived from the Myrex sea snails. To obtain one gram of Tyrian purple, 10,000 mollusks were collected (needless to say, some species were extinguished). Its use in the Byzantine Empire was restricted by law, and therefore, it became the color of power. Sooner or later, the laws expired and violet became more widely available. A second aspect, and no less interesting, lies in the symbolism of spirituality, and even magic. At night, it is the last visible color on the horizon before total darkness. Violet is often associated with mindfulness practices, which offer a higher ground to those seeking refuge from today’s overstimulated world. And we can not forget that musical icons such as Prince, David Bowie and Jimi Hendrix brought violet to the forefront of Western pop culture as a personal expression of individuality. 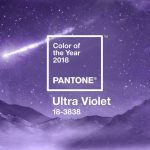 According to Pantone, Ultra Violet 18-3838 symbolizes experimentation and lack of conformity, encouraging individuals to make their mark on the world through creative outlets. 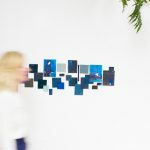 “The Pantone Color of the Year has come to mean much more than ‘what is in trend’ in the design world, it is really a reflection of what is needed in our world today.” – Laurie Pressman, vice president of the Pantone Color Institute. 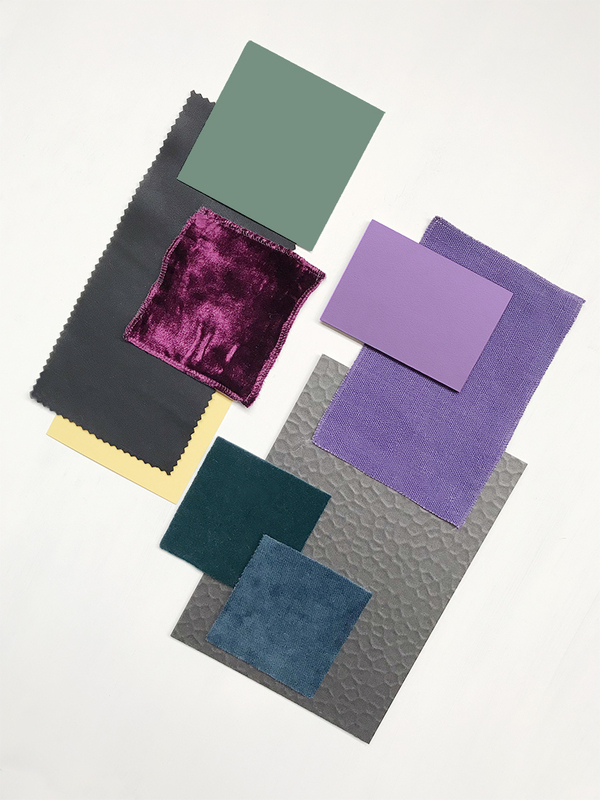 If we talk ultra violet integrated in the interior design field, we can observe that its integration is often reduced to one statement piece such as a lacquered cabinet, wallpaper and the upholstery of a sofa or armchair in velvet or cotton. 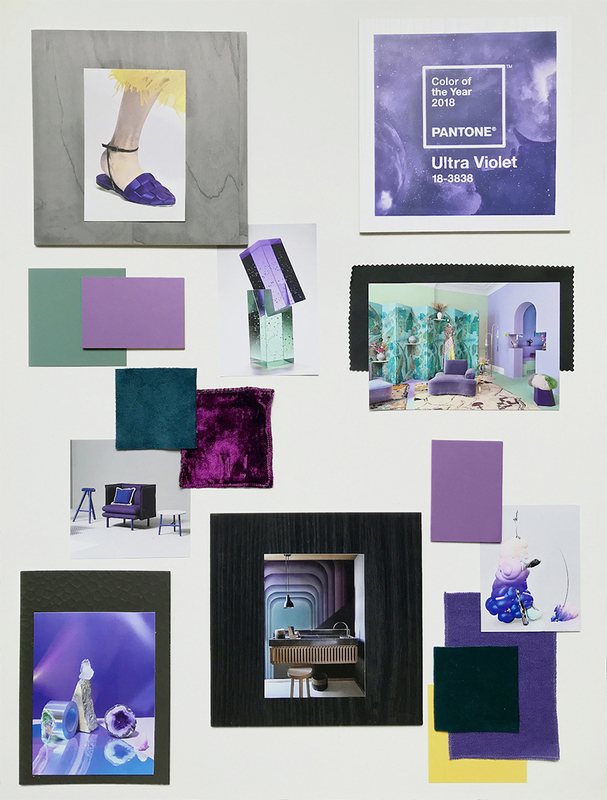 The Ultra Violet mood board represents design proposals with a more contemporary approach taking references from interior design, art and fashion. 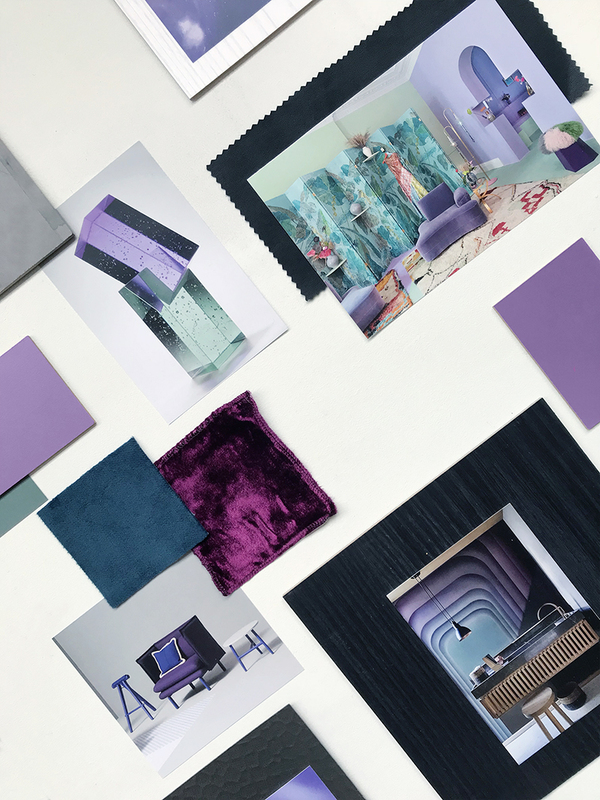 Ultra Violet combines very well with white for a lighter and more spiritual feel (in tune with Pantone’s intention), whereas black adds a more sophisticated and luxurious touch. 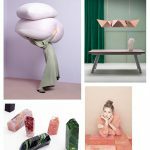 We chose to add a warm yellow – Pantone 13-0850 and dusty green – Pantone 5555 together with various shades of greens and teal (must- watch for Autumn/Winter 2018/19) combined with a grey metallic hammered finishing offering a more trendy color palette. Finsa’s Lila Hawai of the unicolors range (wooden sample above and below) adds a vivid touch uplifting this color story. 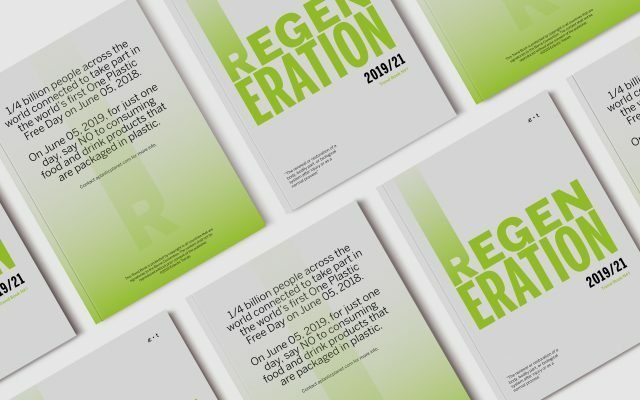 See the article in Spanish here.